Originally built by Hatshepsut - 1479 BCE to 1458 BCE and destroyed by: Thutmose III - 1479 BCE to 1425 BCE. 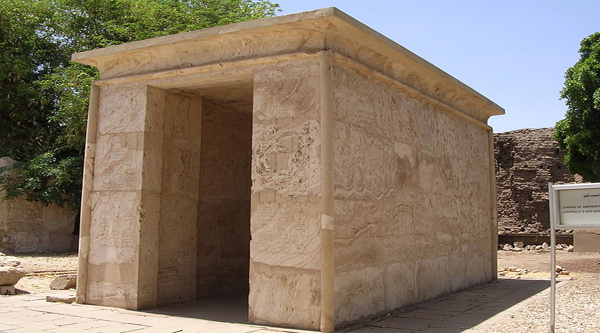 The "red chapel" was a unique red quartzite bark chapel placed in the sanctuary of the Amun-Ra temple. The two-roomed chapel (consisting of a vestibule and a sanctuary) was raised on a grey diorite platform and accessed by short ramps on either side. 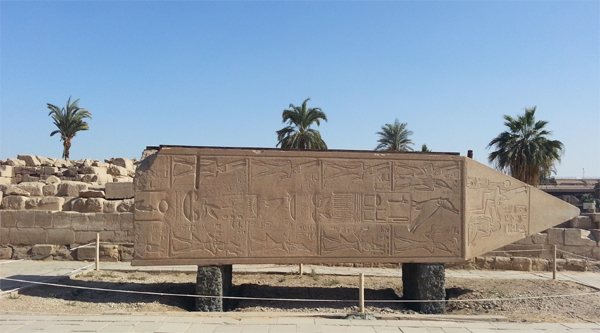 The beautifully carved relief decoration on the chapel's exterior sides includes scenes showing the raising of Hatshepsut's obelisks in the Wadjet Hall and the festival processions of the Opet and Beautiful Feast of the Valley festivals. A decorative kheker frieze and a series of kneeling Nile gods and female figures adorn the low base. 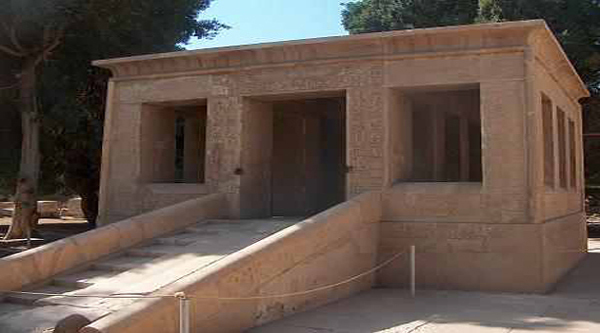 The "red chapel" has been reconstructed in the Open Air Museum at Karnak. The chapel measures 7.2m high, 15m long, and 6.5m wide. 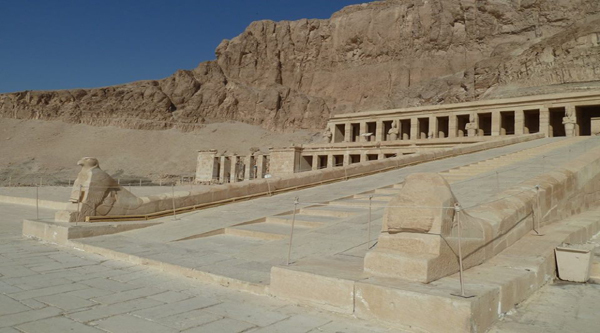 Hatshepsut began construction of the "red chapel" in 17th year of her reign. 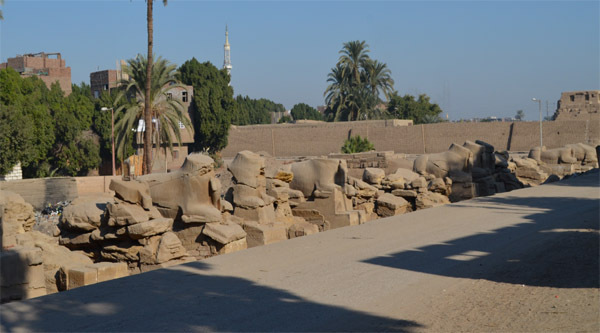 The chapel was placed within the new sanctuary constructed for the temple by the queen, the palace of Ma'at. The palace seems to have been renovated to accommodate the chapel. 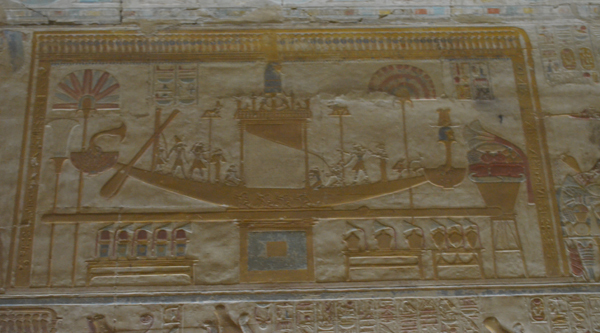 The "red chapel" functioned as a bark chapel, a place for the sacred bark (a portable “boat”) of Amun-Ra to rest within the temple. 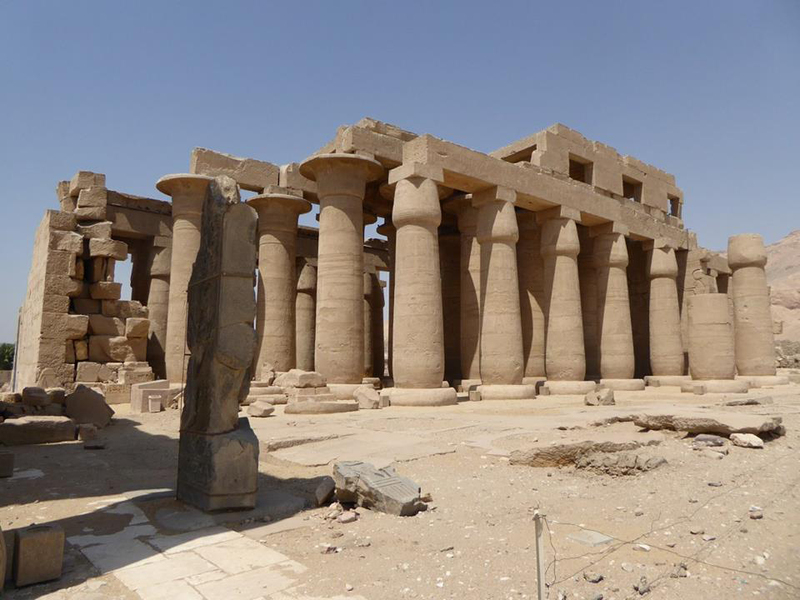 Thutmose III completed the unfinished decoration of the chapel when his aunt died. However, he later decided to disassemble the shrine and replace it with his own bark chapel of red granite. 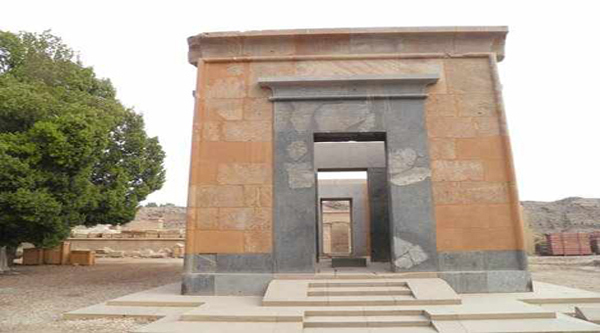 The two black granite exterior doorways of the chapel were incorporated into his renovations of the palace of Ma'at (the main door to the north suite of rooms) and into his court of the 6th pylon (the door leading into the southern columned court) during his continuing renovation of the core of the temple. 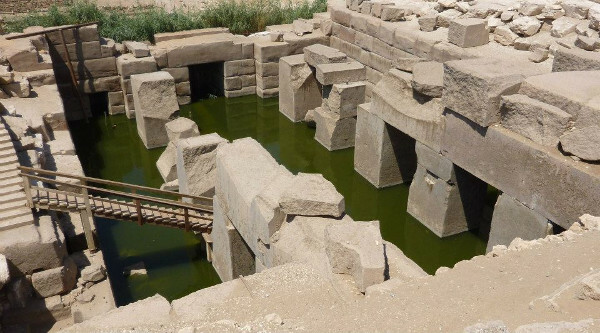 It seems that the blocks of the "red chapel" were left in a heap somewhere at Karnak. 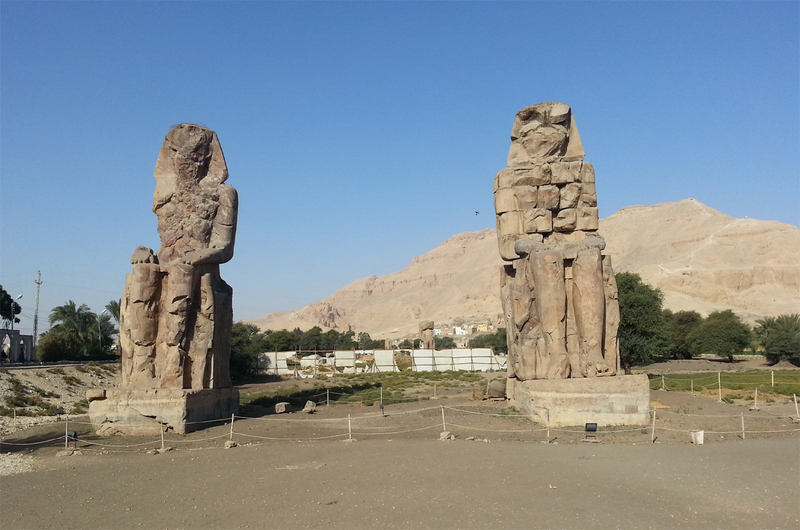 When the proscription of Hatshepsut began, sometime late in the reign of Thutmose III, the image of the queen on some of the blocks was defaced. Other blocks (possibly those less exposed) were left as is. 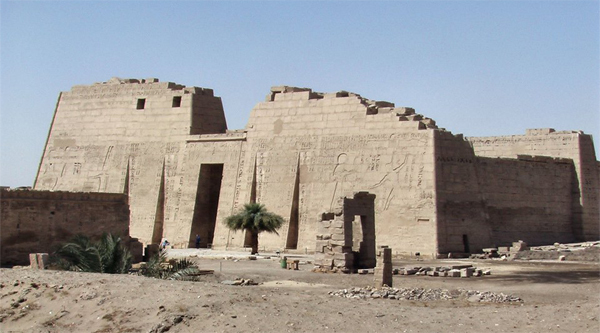 Later, Amenhotep III used the "red chapel" blocks as part of the foundations for the third pylon.